I’m getting a little annoyed with O2 now. The mobile data network has been going down all too frequently. Most of the time, the downtime has been more of an irritation than problem; however yesterday the service suffered what appears to be national outage all afternoon. This meant I was unable to do the live updates from the Bath City game or check the scores from other football matches being played. Sort it out, O2! Not impressed. Yesterday afternoon, I made the short(ish) journey south to watch Bath City play Dorchester Town. However, the Dorset club’s lineup resembled more of that of Arsenal than a non-league side. Selley played many, many years ago for The Gunners, and must be at least 60 now. His Arsenal career was ended when he broke his leg, which had to be amputated and replaced with a branch of a tree. Despite losing a limb, the journeyman carried on his football career playing for lesser clubs, eventually reaching an all time low, signing for Dorchester. Yesterday must have been very exciting for Selley, playing against Bath City in the Blue Square South. Not since he faced Parma in the European Cup Winners’ Cup Final, had he played a game of such high prestige. To make Selley’s day even better, he scored against The Romans – impressively, with his prosthetic leg. Selley wasn’t the only Gunner on the pitch, and indeed the score sheet, yesterday. Bath City’s ex-striker, Phil Walsh, joined Dorchester last season, and he scored against his former club. 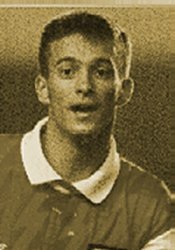 Of course, ‘Walshy’ has never played for Arsenal under his REAL name – that would be too English-sounding for manager Arsène Wenger. Walsh, who is under a dual-contract with Arsenal and Dorchester, uses his alias, Andrei Arshavin when playing for the Gunners and the Russian national team. Andrei Walshavin’s day got even better, when, at fulltime, he teleported himself from Dorset, all the way to Lancashire, where he scored for Arsenal against Manchester United – a pretty impressive day for the lad. 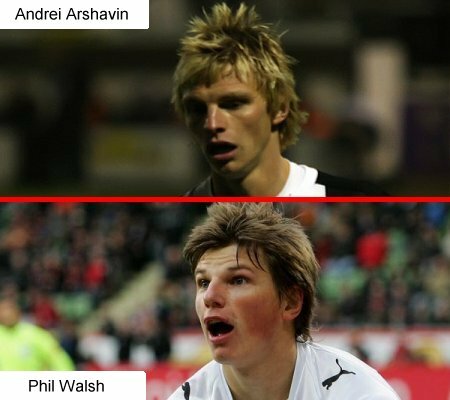 You may think this is a joke, but have you ever seen Phil Walsh and Andrei Arshavin in the same room? While watching Sky Sports News this evening, I was disturbed and saddened by the news and scenes from Upton Park, London – the home of West Ham United. The Hammers met Millwall in the Carling Cup 2nd Round. Both teams are fierce rivals, as is depicted in the film Green Street. Unfortunately, the violence tonight, which has been described as that of the ‘dark ages’ and comparable with the trouble seen in the 1970’s, was very much real and not a scene from a movie. As the evening drew on and goals were scored in games up and down the country, like most fans watching Sky Sports News, I was more concerned about the events taking place in East London. Reports of stabbings, brawls with rival fans and 500-1,000 riot police clashing with supporters. Then we saw the pictures of the so-called fans invading the pitch, installing terror in players and genuine supporters, who had simply made the trip for an evening of football. I wish to echo the views of Phil Thompson on Sky Sports News. In this day in age, with high definition television, surely hundreds would have been caught on the television cameras, if not CCTV. Each and every offending fan must be brought to justice, and if found guilty, face a lifetime ban from all football as a minimum punishment. The scenes tonight were totally disgusting, and sad the thing is, it was not the minority of the fans. The only way these hooligans will be prevented from causing trouble like this again, is to issue every single one of the animals the most severe punishment that can be served. The events in London tonight are not what this country needs and will be extremely detrimental to England’s bid to host the 2018 World Cup. Football is a wonderful, beautiful game that should be enjoyed. Those hooligans tonight brought shame upon the sport. A sad day. 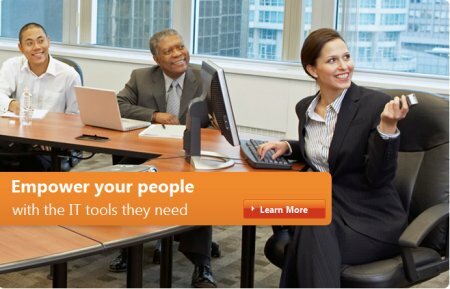 It would appear the employees of Microsoft Poland need to work on their race relations as well as their Photoshop skills. Last week, I was very disturbed to receive a letter from the good people at Wessex Water, advising me that my water bill would be increased as my usage has massively gone up. Having not installed a swimming pool in my sitting room, I am totally puzzled as to why such a meter reading would be made. Not wanting to pay a bill equalling that of a 3rd world debt, I contacted the supplier to tell them all was not right. Agreeing something was wrong, they are sending a man out to investigate on Wednesday. In the meantime, they set me the fun task of locating my stopcock (see, that’s where the blog title came from) so that the water can be turned on and off upon his arrival. Having checked all the usual places – under the sink, airing cupboard and fuse box (joke), I was totally puzzled – I even pulled the fridge out to see if Mr. Stopcock was hiding there. Alas, he wasn’t. Then, a thought crossed my mind… I decided to read the manual which came with my flat. Being a male, I don’t normally read instructions, and this manual constitutes them, so I have never bothered to check until today. 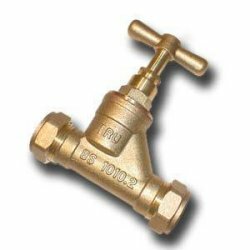 Now to try and let the water man find out the cause of the colossal bill – my money’s either on a leak or some moron misreading the meter.